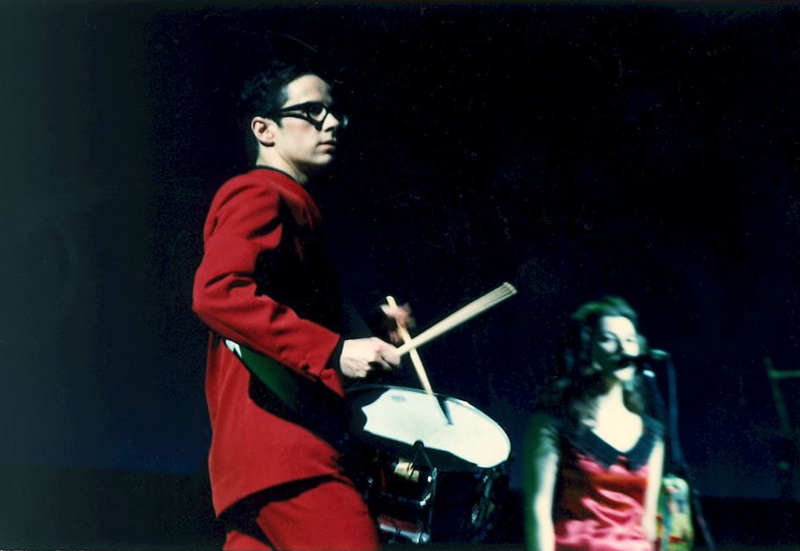 Today, let's turn to France and look at a band I am in the throes of a fling with, Mikado, a duo made up of Gregori Czerkinsky and Pascale Borel that was founded in 1982 and disbanded in 1991. And that was named after the pick-up sticks game. In brief, they were a synth-pop act that, due to a cult following cultivated in Japan from the success of their first EP, a quiet, click track-backed affair put out by Annik Honoré's Les Disques Du Crépuscule, to most know as the sort of Gallic cousin to Factory Records, found themselves whisked away to Japan to record an album with Haruomi Hosono (細野 晴臣) for his newly-started imprint, Non-Standard. It's wild how clear the connection to the Non-Standard world is here: the self-titled full-length has the presence of early Pizzicato Five singles (e.g. "Boy Meets Girl," "The Audrey Hepburn Complex") and the blue joyousness of retrofuturist city pop productions of the time. Listening to it, it's impossible to tell where the French influence seeps into the Japanese technique and how the Japanese voice informs the French character. It's an aural hall of mirrors that can send an 80s and 90s Japanophile like myself into a meltdown. The drums are unadorned yet full and forward; the vocals whispered and soft yet seductively feathered and bristled at the edges; the arrangements are austerely constructed with keyboard-led toplines that precisely outline these musical mazes that are impossible not to get lost in. Their videos are pretty special, too. I'm not going to get into it here, but Czerkinsky and Borel's post-breakup efforts are excellent, too, and I'll start you down the path of flipping through that stuff with a couple choice examples.